ARE YOU READY FOR THE OPEN?? 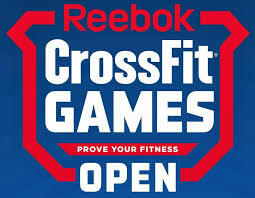 So what the heck is the CrossFit OPEN? And why do people get so excited about it?? Every Thursday evening starting on February 21st, CrossFit.com announces the work out that everyone around the globe will be doing. There will be a prescribed version AND a scaled version of the work out (just like we give you every single day here at CFF) We will do that work out as the gym WOD on Friday at all of the normal class times. To register and read more about it Click HERE! Last year as a gym we had an in house competition. Once you signed up and registered as a part of the CrossFit Flagstaff Team and CrossFit Flagstaff Affiliate THEN you chose what in house team you wanted to be a part of. 6am, 7:30, 9, 12, 3/4, and 5pm. Then every week you could earn point for your CFF team based on getting as new PR, showing team spirit, taking the judges course etc. It wasn't about where you landed on the leaderboard it was all about pushing yourself to do a heavier weight, get your first pull up or come in and cheer each other on! It really is my most favorite time of the year here at CrossFit Flagstaff. This year we will again name a CFF OPEN Champion Team. That team will get their photo on the trophy/plaque for the entire year AND get custom winners T-shirts. What team will take the Crown? Does anyone have it in them to overtake the 7:30 crew???? 2. Then write your name on the CFF White board under the team/time you want to be a part of. This should be the time/class that you attend most regularly. Young Athletes we hope you guys all register and create a team too!!! Rule 2 Cont. These teams , for scoring fairness, will be capped at 10 athletes. IF a time/class has more than 10 there will be 2 or 3 teams made for that class time. 5pm red , 5pm blue, 5pm green etc. (or come up with your own names) These teams will be made/divided by the coaching staff to ensure fairness and no stacked teams. 1 point each for: completing the WOD, entering your score with out being reminded by a coach, team spirit*, coming to a class that is NOT your team to help judge. * team spirit can be...dressing up/team costumes, coming to cheer on other classes, making posters, making up team songs/cheers (CLICK to see last year's version) etc. etc. CFF coaches can award more than 1 point where they deem appropriate.